As a therapist, and a person, I recognize that we all have relationships. Relationships with ourselves and with our family members can be fulfilling, peaceful and bring us great joy. My goal in working with individuals, children and families is to help identify problems-not people, within our lives and family systems and tackle these so we can feel that fulfillment in our lives. Navigating the classroom, to the playground or the social scene can overwhelm any child/parent who is struggling. Feeling embarrassed, anxious, overwhelmed, experiencing conflict at school, home or both, can feel like a hopeless uphill battle for many! Instead, we all want to feel successful and empowered. 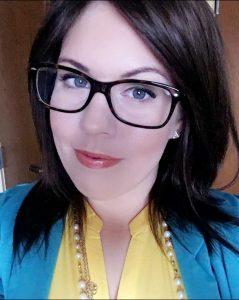 Whether a family or individual is going through challenges such as a divorce, struggling in the classroom or college setting, experiencing anxiety and low self-esteem, acting out, or adjusting to transitions, I am here to help. I specialize in working with pre-teens, adolescents, and young adults navigating ADHD, behavioral issues, Autism/Developmental Disabilities, Social Difficulties/Phobias, and Anxiety Disorders. People come in all shapes and sizes, with unique sets of values, ideas and experiences, therefore, my approach is never “cookie-cutter,” but individualized. In addition to therapy sessions, I also offer social history evaluations for school purposes, and I provide transition evaluations for individuals preparing to graduate from high school or 18-21 programs. 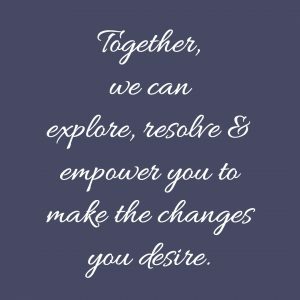 Together, we can explore, resolve and empower you to make the changes you desire. Let’s work together to create lasting change, call me today and we can get started. I am a graduate of New York University Silver School of Social Work. I hold training certificates in Trauma Informed Cognitive Behavioral therapy treatment for children. In additional, I have taken several trainings offered via the Linehan Institute for Dialectical Behavioral Therapy.